The M2D Network will focus on model-informed decision making and defines itself as broad, inclusive and multidisciplinary. We welcome the active participation of members from a diverse range of academic research and public / private sector working backgrounds. 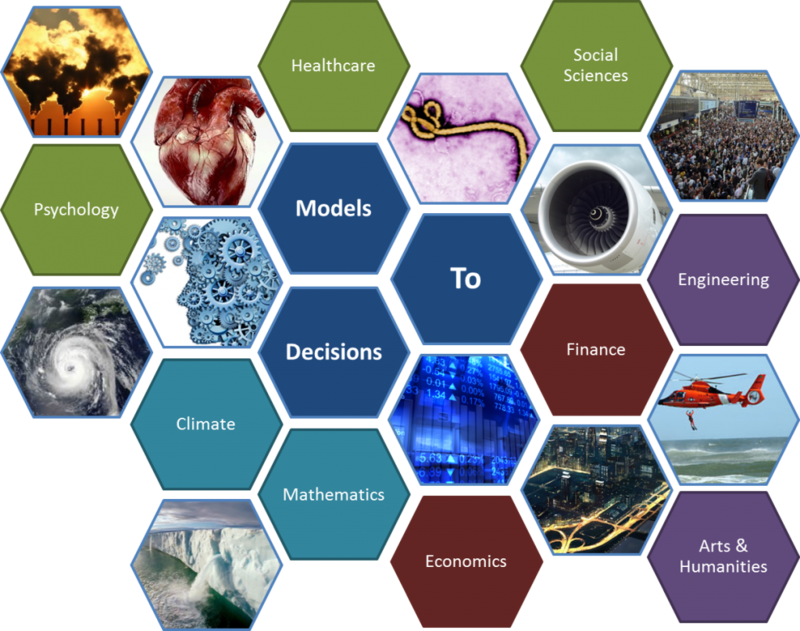 Examples of disciplines we are seeking to engage include Applied Mathematics, Engineering, Operational Research, Economics, Finance, Environmental Science, Management Science, Arts and Humanities, Political Science, Computer Science, Psychology, Risk, Medical Informatics, Statistics and Applied Probability, Data Science and Information Science. M2D will function within the scope of three core themes of uncertainty quantification, from models to decisions and communicating uncertainty, and through our growing community, aims to connect otherwise disparate communities working on how mathematical modelling can effectively support end users and decision makers. Establishing a decision making under uncertainty community in the UK via networking events (both online and real-world). Defining a research agenda that will address how to improve decision making under uncertainty in real-world problems. To actively engage with decision makers, develop and deliver ‘best practices’ that are salient, useable and credible to the user community. Pump priming research projects via short-term feasibility studies to tackle substantive interdisciplinary research problems involving models, uncertainty and decisions.